Another successful city wide bike event in Moscow…. 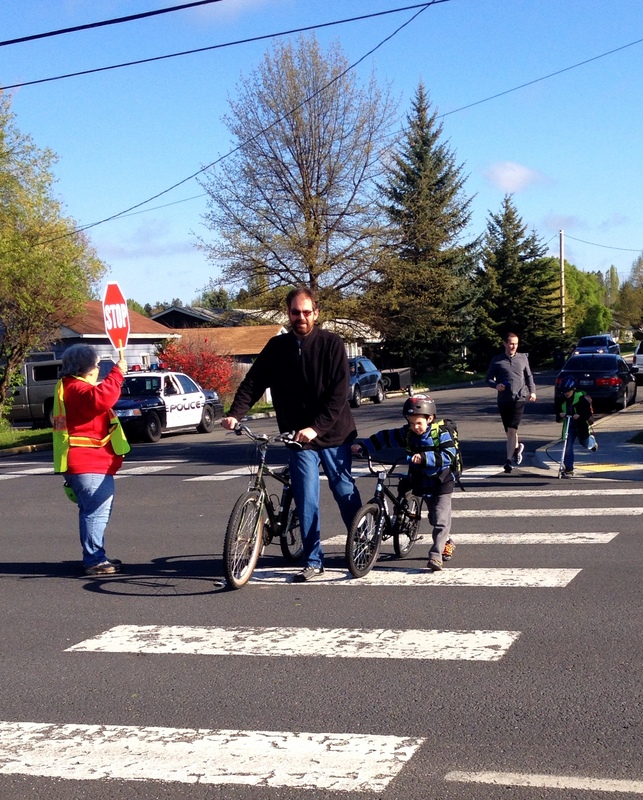 Lots of kids and parents biking together, getting exercise before school, lessening congestion, joining together as a community, and lots of happy smiling kids on bikes! 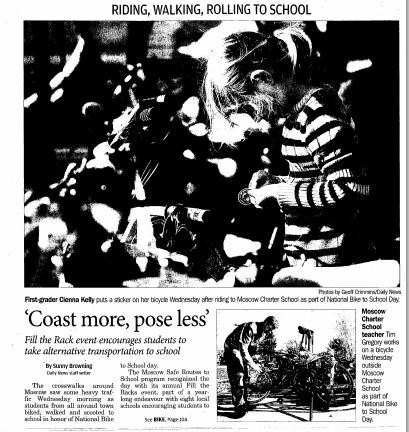 Our 8 participating Moscow schools overflowed each of their bike racks with 399 bikes and scooters in racks counted on event day! That’s 250 more bikes than were counted in bike racks two weeks prior to Fill the Racks! 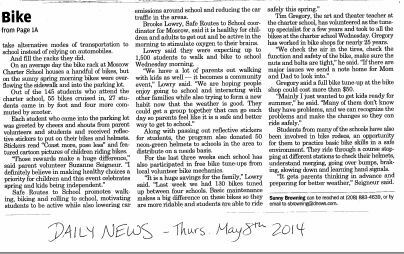 Students also walked or biked so over 1,200 students and parents participated again this year. New this year…. SR2S Coordinated volunteer bike mechanics to offer Free Bike Tune-ups at each of our schools! This means that 12 bike mechanics volunteered over 40 hours before Fill the Racks event day, over 150 bikes had been tuned for free for Moscow families. Thank you again to all who helped make this event a success this year! 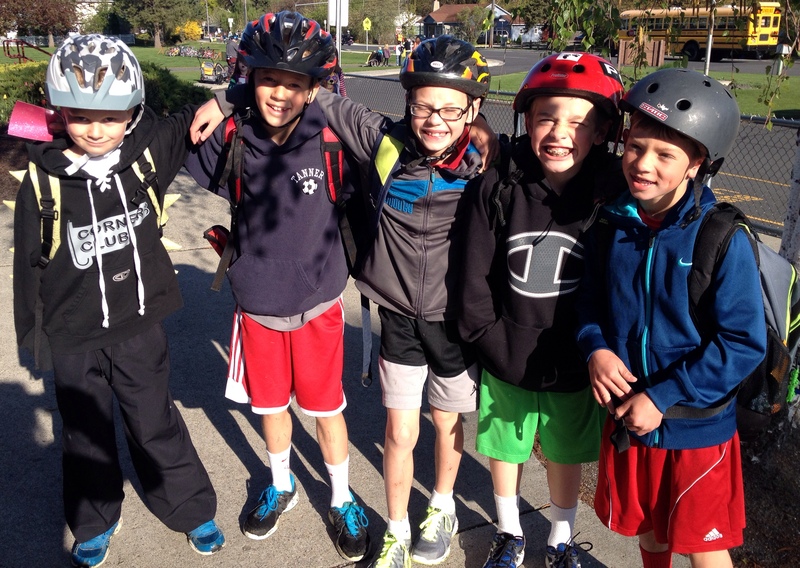 We made alot of kids happy since kids on bikes are happy kids!